Manchester's John Rylands Library is currently home to the Delia Derbyshire Papers and Sound Archive collecting a number of her works from across her career and this year will see them mark what would have been her 80th birthday with a series of events. Charity Delia Derbyshire Day has confirmed a £42,600 Heritage Lottery Grant that will give them the finances to digitise a small part of the archive which they will use to give those who attend the events honouring Derbyshire an insight into how she worked. In all, the archive takes in "working notes and sketches from her days at the BBC Radiophonic Workshop, sound cue sheets from Doctor Who, 267 audio tapes, newspaper cuttings clipped by Delia" and more. 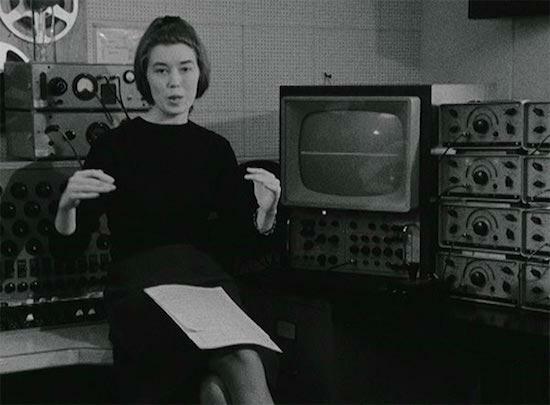 There will be a series of special events organised by the Delia Derbyshire Day organisation with the first taking place on May 5 to mark what would have been her 80th birthday. There will be further events in June and August. "The project focuses on the heritage of electronic music via the archive and works of Delia Derbyshire," says Delia Derbyshire Day project manager Caro C. "We feel [her work] is a rich source of electronic music heritage right here in Manchester. This support will also help us develop as an organisation which unlocks heritage through the arts."